First Desire, then M8 - is E8 next for Eye? Could the plastic-powered HTC One E8 be next for an Eye upgrade? 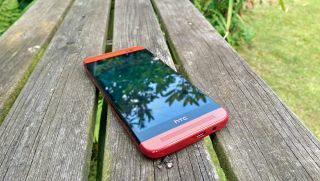 HTC began really focusing on the cameras recently with the HTC Desire Eye and the HTC One M8 Eye, and now it seems the plastic-but-powerful HTC One E8 might be next in line for a new three-letter addition to its name. The "Eye" moniker indicates a smartphone with a focus on photography and selfies, including high-powered cameras and a suite of photo-enhancing software tools. Now Indian imports/exports data site Zauba (not to be confused with fake New York-based importer/exporter Vandelay Industries) has spotted a device called the "HTC One E8 Eye" in a shipping manifest between India and Taiwan, sparking all kinds of speculation. This isn't the first time Zauba has pointed out something of note, so this rumor may be worth paying attention to. When HTC launched the Desire Eye TechRadar wondered whether it's the best selfie phone around, with its dual 13-megapixel cameras (front and back!). We also questioned whether the overpowered front camera is really a worthy flagship feature or more of a gimmick, but that didn't stop HTC from plowing onward with its plans for the "Eye" branding to expand to other handsets. So far HTC's Eye handsets have proved difficult to get ahold of, particularly if you don't live in Asia, but despite our misgivings here's hoping that changes if the One E8 Eye proves real.